Do you want your child to live the life of their dreams? 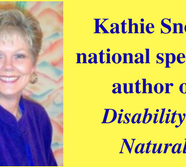 Come get energized and let Kathie Snow, international speaker and author, give you concrete ideas to create even more inclusive opportunities for your child. Join us on Thursday, Sept. 14th from 6:30 – 8:30pm at St. Luke’s in Boise. The event will be held in the Anderson Center South Tower at 190 E. Bannock St. Boise. The room is Ada 3. If you’re not a member, you can get a family membership for only $10.00. Membership is open to all, you don’t need to have a family member with Down syndrome to join. Encourage your friends to register and come discover how new attitudes and perceptions will change the lives of our children. 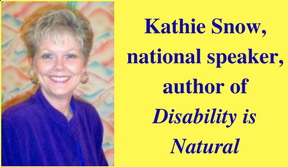 Contact Charmaine Thaner at c.thaner@idahodownsyndrome.org for more details. Unfortunately, childcare will not be available.